Novak Djokovic needed three sets to defeat Roger Federer and win his fourth Indian Wells title for the second year in a row. Djokovic, ranked No.1 in the world, and No.2 Federer met for the 38th time, second-most among rivalries in the Open era. Federer leads the series 20-18 and had won three of their last four meetings going into the final. But Federer made too many mistakes at crucial times as he went down 6-3 6-7(5) 6-2, piling up 43 unforced errors to 35 for Djokovic. The Serb connected on 63% of his first serves, while Federer’s serve let him down. He double-faulted to trail 4-2 in the third as Djokovic won the last four games of the match. Federer’s serve had carried him earlier in the tournament, when he faced just three break points in his first five matches and he saved two of those. Djokovic also won in three sets last year. He and Federer have combined to win eight of the last 11 titles in the desert, and they became the first two players to reach the final in consecutive years since the tournament began 40 years ago. Simona Halep beat Jelena Jankovic 2-6 7-5 6-4 in the women’s final, giving the Romanian the biggest title of her career and a WTA Tour-leading third tournament victory of the year. Djokovic and Halep earned $900,400 (£604,000) each. On his way to his 50th career ATP Tour title, Djokovic broke Federer once to take the first set. 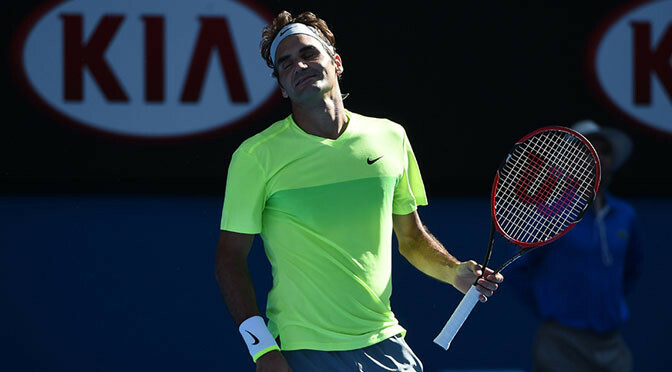 Federer rallied from a 3-1 deficit in the second set for a 5-all tie. They traded love service games to get into the tiebreaker, where Djokovic took a 5-3 lead. Djokovic double-faulted three times, including twice in a row, setting up Federer’s first break point. The Serb’s backhand lob sailed long, allowing Federer to tie the match at a set apiece. Federer then broke Djokovic for a 2-1 lead in a game that went to deuce five times before Djokovic netted a backhand. Federer was the clear favorite among the crowd of 16,988, although chanting Serbian fans at the top of the stadium made their presence known. “When I play Roger it’s something that you expect that he has more support because of who he is,” Djokovic said. 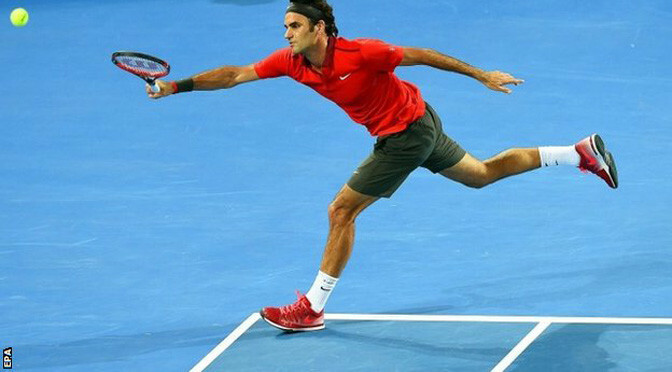 Federer held serve for a 2-2 tie before Djokovic won the final four games of the match. Four-time champion Roger Federer is out of the Australian Open after being beaten in the third round by unheralded Italian Andreas Seppi. The 33-year-old Swiss second seed went down 6-4 7-6 (7-5) 4-6 7-6 (7-5) to Seppi, who is ranked 46 in the world. Seppi, 30, had never beaten the 17-time Grand Slam champion in 10 previous meetings and his win ends a 23-match losing streak against top 10 opponents. “I just tried my best and it was one of my best matches for sure,” said Seppi. “It was just a bad day,” he said. “I wish I could have played better, but clearly it was tough losing the first two sets. Federer enjoyed a revival last year, vying with Novak Djokovic for the number one ranking, and began 2015 with his 83rd career title in Brisbane. However, there had been signs in his previous match against another Italian, Simone Bolelli, that the Swiss was not at his best as he dropped the opening set. Two points from defeat in game 10, Federer held on to force another tie-break and had two serves at 5-4, but lost them both to give Seppi a match point. Faced with the biggest point of his career, Seppi came up with a spectacular running forehand pass to complete a stunning upset. “I just tried to enjoy playing on centre court (Rod Laver Arena) because it’s not often I get the chance,” added the Italian. 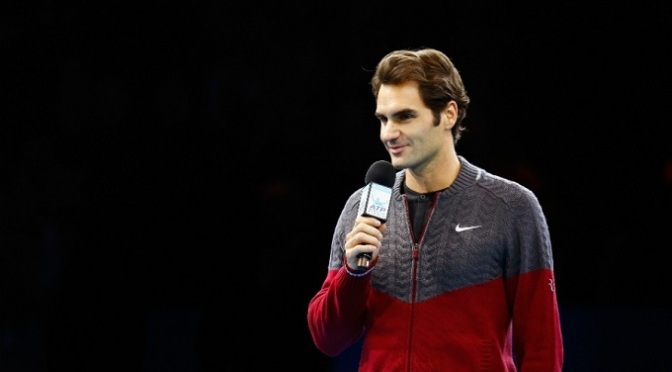 “I was focusing on my service games as I was not getting many chances on his. Third seed Rafael Nadal returned to Grand Slam action with a comprehensive win over Russia’s Mikhail Youzhny. 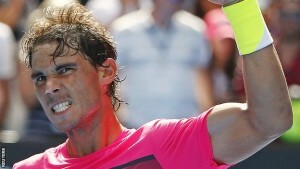 The Spaniard, 28, won 6-3 6-2 6-2 in his first match at a Grand Slam since Wimbledon following injury and illness. Second seed Roger Federer outclassed Yen-Hsun Lu 6-4 6-2 7-5 while sixth seed Andy Murray beat India’s Yuki Bhambri 6-3 6-4 7-6 (7-3). 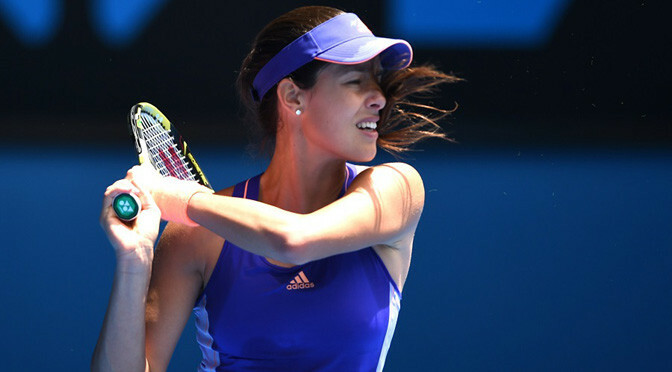 Women’s fifth seed Ana Ivanovic suffered a shock 1-6 6-3 6-2 defeat by Czech qualifier Lucie Hradecka. The Serb was one of eight seeds to lose but second seed Maria Sharapova, third seed Simona Halep and sixth seed Eugenie Bouchard all advanced in straight sets. Nadal, who is a 14-time Grand Slam winner, had only played eight matches since a shock defeat by Australian teenager Nick Kyrgios at Wimbledon last year. Before the tournament, he played down his chances of winning a second Australian Open title but showed glimpses of his best against world number 49 Youzhny. “I was a little bit under doubt before, but I think I played without making too many mistakes and the only way to get better is to win more matches so it will probably help me,” said Nadal. Serbia’s Ivanovic appeared close to tears as she dissected her shock first-round exit against Hradecka in front of the post-match media. “I think the whole match I didn’t really feel like myself out there. I had some issues. You know, it’s probably the worst thing that could happen,” she said. But the 2008 runner-up was not the only seeded female to suffer an opening-day exit, with a quarter of the seeds falling. Two-time Grand Slam champion Svetlana Kuznetsova, former Wimbledon finalist Sabine Lisicki, ninth seed Angelique Kerber, 16th seed Lucie Safarova, Swiss teenage sensation Belinda Bencic, Spain’sCarla Suarez-Navarro and Russia’s Anastasia Pavlyuchenkova also saw their hopes ended. Andy Murray, will be seeded sixth for the Australian Open, with Novak Djokovic the number one seed. Five-time champion Serena Williams is top seed for the women’s event while Britain’s Heather Watson will have no protection in Friday’s draw. Former champion Victoria Azarenka, who is ranked 41st in the world after an injury-hit 2014, is also unseeded. The tournament, the first Grand Slam of the year, begins on Monday. The seedings mirror the world rankings. Spain’s David Ferrer is the ninth seed in the men’s draw after the withdrawal of US Open champion Marin Cilic, while world number 12 Jo-Wilfried Tsonga’s absence with a forearm strain means Ernests Gulbis moves up to 11th seed. Britons Kyle Edmund and Liam Broady are two matches away from reaching the main draw after wins in the first round of qualification. 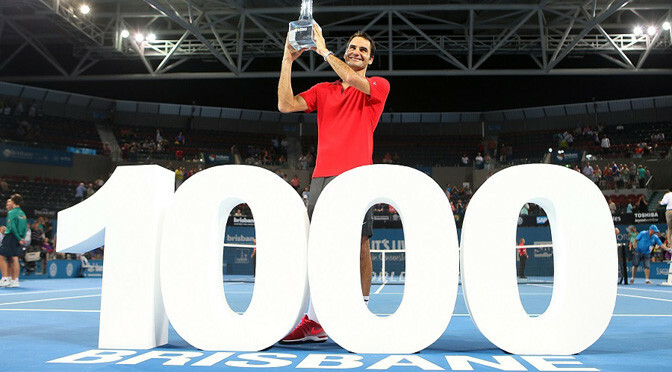 Roger Federer claimed his 1,000th career victory and collected his 83rd title with a 6-4 6-7(2) 6-4 win over Milos Raonic in the ATP Brisbane Final. The 17-time major winner broke Raonic’s serve in the third game and again in the opening game of the second set but just when Federer appeared set for a comfortable victory, the 24-year-old Canadian broke back in the fourth game to swing the momentum. The second set then stayed on serve until the tie-break, where Raonic dropped the first two points before winning the last seven to level the match. After overcoming his early nerves, third-seeded Raonic was playing a cool, composed game until he served his first double-fault of the third set, giving Federer championship point. Raonic netted a forehand on the next point, allowing Federer to join Jimmy Connors (1,253) and Ivan Lendl (1,071) as the only players to win 1,000 or more matches on the men’s professional tour. After a sudden end to the match, Federer raised his arms to acknowledge the ‘Federer 1,000’ placards and red-and-white Swiss flags being waved around the stadium. Ballboys held up 1,000 in big, white numerals near the net during the presentation ceremony, when Federer accepted the trophy from Roy Emerson and a framed montage of images with the words ‘Congratulations Roger, 1,000 match wins’ from Australian great Rod Laver. “It’s a special moment, I’m glad I got it,” Federer said. “To get to 1,000 match wins in front of you guys … it really means a lot to me. I’ll never forget this match. ” The 33-year-old started the 2015 season with a 996-227 career win-loss record and reached the milestone with victories over Australian wildcards John Millman and James Duckworth, fourth-seeded Grigor Dimitrov and Raonic, whom he now leads 8-1 in head-to-head encounters. The Aussie fans love an underdog, and backed Raonic while he was down early in the match, with Federer firing eight aces and not facing a break point in the first set. But as the final progressed and an upset loomed, the Pat Rafter Arena crowd got right behind Federer and cheered his every winner. Federer responded to his slide in the tie-break by serving an ace to open the third set, but he needed all his experience to save three break point chances in the opening game that lasted more than 11 minutes. Raonic then had to save two breaks points in the fourth and sixth games – after missing two on Federer’s serve in the fifth. The server only conceded one point in the next three games until Raonic was serving to stay in the match. Raonic led 30-15 until Federer produced a pin-point topspin lob that forced an error, and then the double-fault – only his fourth of the match. He hit 49 winners, six more than Federer, but had also had more unforced errors and, surprisingly, fewer aces. Top seed Roger Federer beat Australian wildcard James Duckworth 6-0 6-1 in 39 minutes to reach the Brisbane International semi-finals. The 33-year-old’s victory came just 24 hours after he struggled to see off world number 153 John Millman. 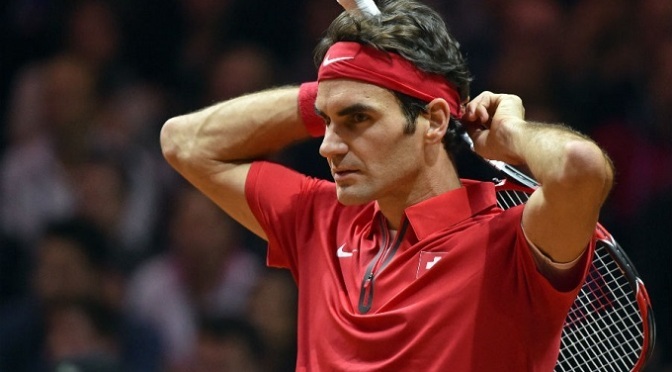 Federer, last year’s runner-up, will face fourth seed Bulgarian Dimitrov, who beat Martin Klizan 6-3 6-4. “I’m happy I had a match like this after yesterday,” said Switzerland’s 17-time Grand Slam winner. Japan’s Kei Nishikori meets Milos Raonic in the other semi-final as players warm up for the Australian Open, which starts on 19 January. Nishikori, the 2014 US Open runner-up, beat Bernard Tomic 6-0 6-4, while Raonic’s booming serve helped secure a 7-6 3-6 7-6 victory over Australian Sam Groth. Dimitrov, a beaten Wimbledon semi-finalist alongside Raonic, set up the Federer encounter with a comfortable 6-3 6-4 success over Slovakian Martin Klizan. 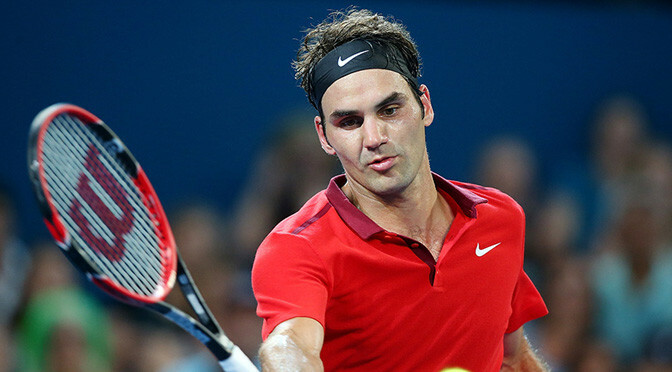 Federer will be seeking his fifth Australian Open triumph in the 2015 tournament. Roger Federer survived a close call in his first match of the season, needing three sets to reach the Brisbane International quarter-finals. The 17-time grand slam winner came from a set and a break down to beat Australian wild-card entry John Millman 4-6 6-4 6-3. “I’m sweating like crazy,” Federer said. The weather was reasonably mild for sub-tropical Brisbane, where Federer lost in the final last year. It was the hot reception from world No.153 Millman that troubled him for a while. Federer, who had a first-round bye and delayed his opening match until the fifth day of the tournament, made an uncharacteristic 19 unforced errors in the first set and finished with 38 for the match. Milos Raonic hit 17 aces and didn’t face a break point in a 6-3 6-4 win over Mikhail Kukushkin to set up a quarter-final against Sam Groth, who beat Lukasz Kubot 6-4 6-7(2) 7-6(3). Australian wild-card entry James Duckworth progressed with a 4-6 7-6(5) 6-3 win over Jarkko Nieminen and will meet Federer in the next round. “I served well. Finished last year and we definitely thought I could do a lot better with my serve, so we spent a lot of time this off-season on that and I’m happy that it’s going well,” Raonic said. The 24-year-old Canadian said he’s coming off his best off-season ever, and is ready to make his breakthrough at the grand slam events. 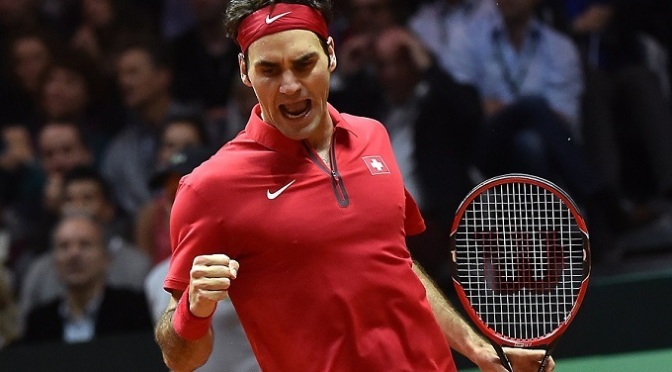 Roger Federer defeated Richard Gasquet 6-4 6-2 6-2 in the first reverse singles match on Sunday as Switzerland won the Davis Cup final against France by taking an unassailable 3-1 lead. The 17-time Grand Slam champion gave Switzerland its first title in the team competition and added the only big trophy in tennis missing from his collection. Federer and Stan Wawrinka had put Switzerland into a 2-1 lead Saturday with a straight sets defeat of Gasquet and Julien Benneteau in the doubles. Federer was thrashed by Gael Monfils in his first singles match after struggling with a bad back but recovered as the weekend progressed and did not face a break point on Sunday. “I’m happy I was able to stay calm and play a good match, and I’m really happy for the guys in the team, everybody worked incredibly hard to get me match ready,” Federer said. It took 15 years for Federer to achieve glory in the Davis Cup after making his debut in the prestigious event in 1999. He fell on his knees after converting his first match point and laid face down on the court before hugging team captain Severin Luthi and his team-mates. A favourite of fans when he plays at the French Open, Federer was treated to a hostile reception as he entered the clay court in the converted Pierre Mauroy football stadium. He was booed during his warm-up and large sections of the 27,448 spectators applauded the rare mistakes he made. That did not prevent him from taking control of the match from the start. The Swiss hit an ace that travelled at 210kph (130mph) to win his first service game and never looked back. Moving well and varying with his backhand, Federer gave a tennis masterclass to Gasquet, who was overwhelmed in the rallies and struggled to read his opponent’s serve throughout. He kept piling pressure on his French rival with aggressive return games and closed out the set by holding at love, having lost just four points on his serve in the whole set. Gasquet was made to pay for his mistakes at the start of the second set and handed another break to Federer when he netted a backhand in the net. The Frenchman gave an incredulous look when Federer hit a superb backhand return to move 0-30 on Gasquet’s serve in the seventh game before earning three new break points with a stunning forehand. Gasquet saved the first, but went long on the second. Gasquet fought hard at the start of the third set to stay in the match by trying to come more often to the net, only to be destroyed by Federer’s pinpoint passing shots. Gasquet finaly dropped his serve for the fourth time in the fifth game, cracking on his backhand after a baseline rally before Federer broke again for a 5-2 lead. The Swiss then held at love, sealing victory with a drop shot that Gasquet did not chase. Despite a speedy recovery from a back injury to make it back for the Davis Cup final, Roger Federer looked a shadow of himself in a straight-sets loss to Gael Monfils as France levelled the tie at 1-1 on Friday. Monfils triumphed 6-1 6-4 6-3 and posted his first win on clay over the 17-time Grand Slam champion, who decided to play despite the injury that forced him to pull out of the title match at the ATP Finals last Sunday. Federer had only two short training sessions earlier this week and looked out of sorts while Monfils hit 44 winners including 10 aces. The Swiss, who is chasing a maiden win in the team competition, dropped his serve five times and could not convert the two break points he earned. It was a stark contrast to Federer’s superb display in London last week, where he eased past opponents but hurt his back during his semi-final victory over Davis Cup team-mate Stan Wawrinka. Monfils sealed his win in less than two hours on his first match point with a backhand down the line, getting a measure of revenge after his tough loss to Federer in the quarter-finals at the US Open in September. At Flushing Meadows, Monfils lost in five sets after going up two sets to one and failing to convert two match points. Earlier, Wawrinka had put the Swiss ahead by beating Jo-Wilfried Tsonga 6-1 3-6 6-3 6-2, which left the Frenchman upset by a lack of support from his home crowd. Saturday’s doubles are set to pit French pair Julien Benneteau and Richard Gasquet against Marco Chiudinelli and Michael Lammer. But if Federer is judged fit enough to play over three days, he is expected to be picked for the doubles alongside Wawrinka.